One of Whyalla’s ongoing problems is that every so often some journalist would arrive in town and write a negative story about the place. That gave us something of an image problem. 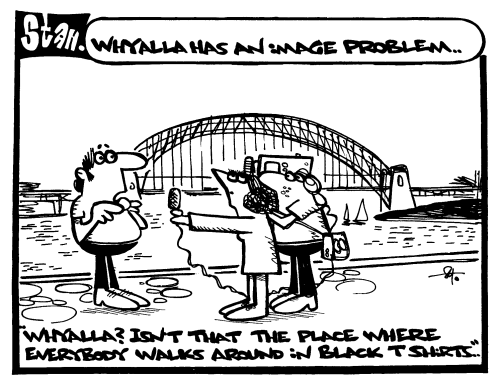 One such story complained about the natives all going around wearing black tee shirts, which prompted two STAN cartoons..